SWWJ-Laser is Offering 33% off Press Brake orders throughout March 2019! 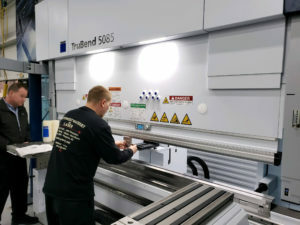 Southwest Waterjet and Laser has just purchased and installed, what we believe is the most accurate and productive press brake on the market today. Awesome Press Brake Introductory Offer! We will hold that discounted price on the same parts for three months!